Let us help you find the talent you need, when you need it. 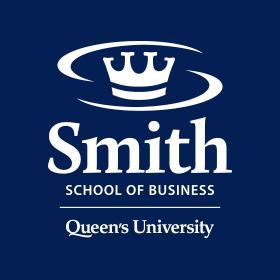 With 14 academic programs and almost 1500 graduates a year, Smith School of Business provides a greater breadth of talent than any other Canadian business school. From entry level to senior executives, we can help you create your company’s future… now. Our Corporate Relations team partners with you to raise your company profile and engage students. From entry-level talent to middle managers and senior executives, Smith School of Business has the talent you need. As one of the world's premier business schools with a faculty team renowned for its academic credentials and business experience, the school has earned international recognition for its innovative approaches to business education and has been a pioneer in the areas of team-based and experiential learning. Recruiting With us is Easy! Whether you are looking for information on our programs, would like to view resumes, post a job, or establish your brand on campus, our team is here to help. We invite you to recruit throughout the year with many opportunities to connect with students across all programs. With 14 programs, Smith School of Business provides you access to entry-level talent to middle managers and senior executives. Use our online search function or review our resume books to find the candidates that meet your requirements. Let us help make the hiring process easier by sending us your job postings. Attract students to explore employment opportunities with you by increasing your brand top-of-mind awareness.